Wired alarms: although this type of alarm is generally reliable and robust, it has to be installed by an alarm installation specialist. Wired alarms can be disruptive to install as the wires required for the electronic sensors have to be hidden. Wireless alarms: an increasingly popular choice, wireless alarms use battery-powered sensors which are designed to communicate with a central control panel through radio signals. The downside to this is that the batteries will need to be replaced periodically. However, as very little wiring is required, wireless alarms offer a cost-effective choice. Bell only alarms: the cheapest option, this type of alarm is designed to make a loud noise. Best suited to homeowners with friendly neighbours or those living in a Neighbourhood Watch area, this type of alarm won’t automatically alert you or the police. Auto-dialler alarms: designed to automatically contact you or a nominated friend if the alarm is triggered, auto-dialler alarms are connected to a phone line or mobile network. This type of alarm does need to phone line or a strong, reliable mobile signal. Monitored alarms: if the alarm is triggered a call centre is alerted and they will then contact the police or a designated emergency contact. This type of alarm requires a fee which is paid monthly or annual and it’s worth remembering that the police will stop responding if too many false alarms are received. Smart alarms: the latest type of alarm, smart alarms are designed to be integrated with a smart home system. Smart alarms will contact you or a family member if the alarm is triggered, whilst the system can be set or un-set using a mobile phone, tablet or laptop. 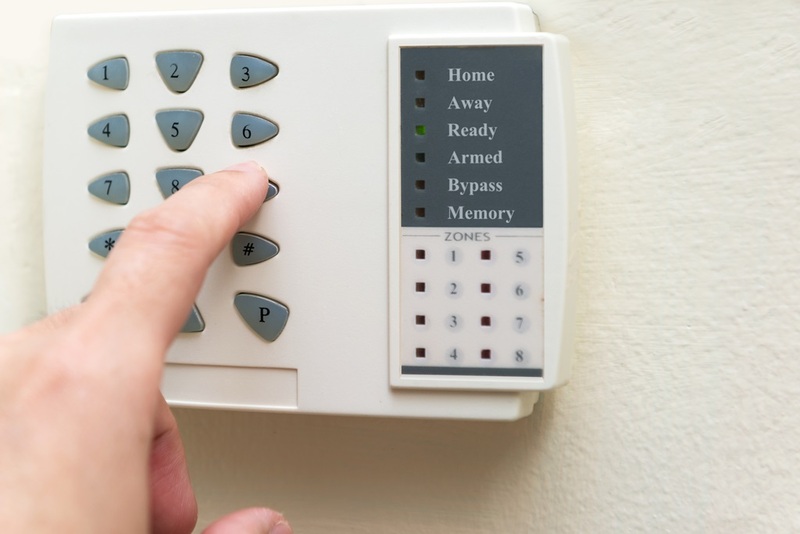 Offering cost-effective, comprehensive security, this type of alarm system is becoming increasingly popular.